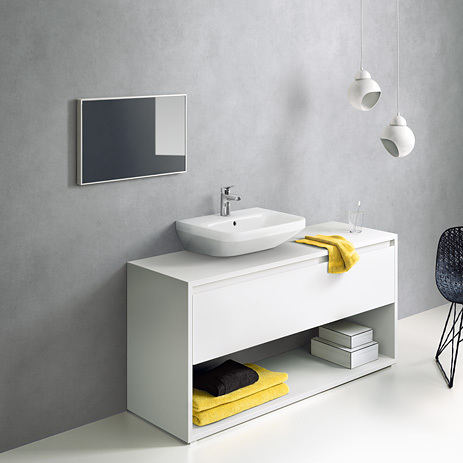 The latest hansgrohe mixers blend in perfectly with the full range of modern wash basins – ideal for two-dimensional and smooth-edged bathroom ceramics alike. Design. Clean lines and delicately curved surfaces turn Logis products into real eye-catchers on wash basins, bidets, bath tubs and in shower areas. 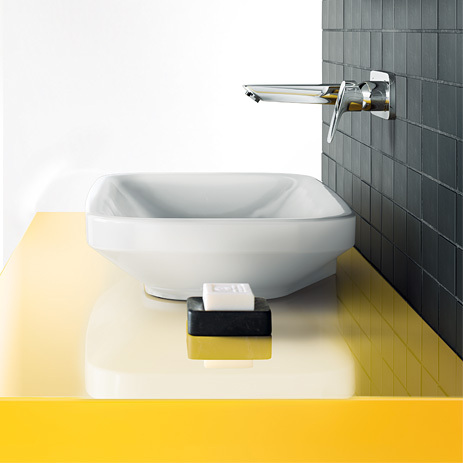 The open shape of the handle makes it easy on the eye and pleasant to the touch, really inviting you to grasp it. Comfort. Transform your home into a ComfortZone! The variety of spout heights means that Logis can be adapted to suit your own personal requirements. Use the hansgrohe ComfortZone test to find out which Logis mixer is the perfect match for your wash basin. This test procedure guarantees user-friendly, splash-free water indulgence. Innovation. You can also take advantage of the resource-conserving, efficient hansgrohe technologies EcoSmart, CoolStart or AirPower, which are featured in the Logis mixers. Here you will find a comprehensive range: Logis is impressive thanks to its numerous model variants. Choose from single lever mixers, 2-handle and 3-hole mixers or versions for wall mounting. 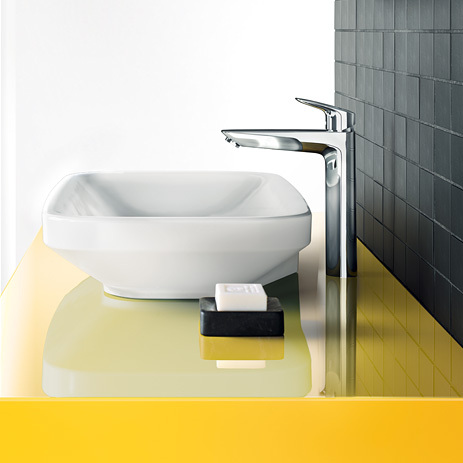 The Logis mixer range also sets modern accents in showers and on bath tubs. 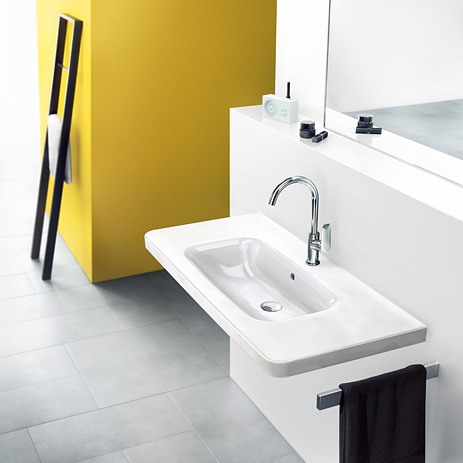 Depending on the installation setting, you can select single lever mixers for exposed or concealed installation. Also available in the form of a bath filler or as rim-mounted bath mixers.